Morgan Stanley added stocks of SBI, Apollo Hospitals and Prestige Estates to its portfolio. NEW DELHI: Global brokerage Morgan Stanley raised BSE Sensex target for September 2019 to 42,000 level, citing earning cycle was at the cusp of turning around. India is coming out of deepest earnings recession that extended for seven years and corporate are looking confident on business growth over the next 12 months, according to Morgan Stanley. The global financial services firm seeing signs of investment rate rising and thereby profit margins should rise. Elections outcome in 2019 is the key risk for the market. Morgan Stanley added SBI, Apollo Hospitals and Prestige Estates to its portfolio. Shares of SBI closed 1.89 per cent up at Rs 290.85 on Friday, while Apollo Hospitals and Prestige Estates gained 1.20 per cent and 8.55 per cent, respectively. Domestic equity markets extended their gains for a second straight session on Friday after CPI-based inflation came in at a 10-month low of 3.69 per cent for August and positive global cues. Domestic sentiments were also buoyed as the rupee recovered from its lows against the dollar as the government had on Wednesday assured that all steps would be taken to ensure the domestic currency does not depreciate to unreasonable levels. Besides, broader indices too were trading in green. 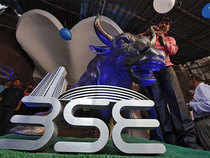 The BSE Sensex gained 372.68 points, or 0.99 per cent, to 38090.64, while the NSE Nifty index advanced 145.30 points, or 1.28 per cent, to 11515.20 on Friday.